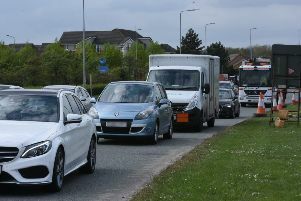 Roadworks on the A1 combined with ongoing works and speed restrictions on the A15 at Hampton is causing a major headache for motorists in Peterborough. Residents are reporting delays of over an hour on their journey into the city this morning and took to social media to make their feelings on the way the roadworks have been planned clear! Details of the roadworks and the diversions through Hampton and Yaxley can be found here.